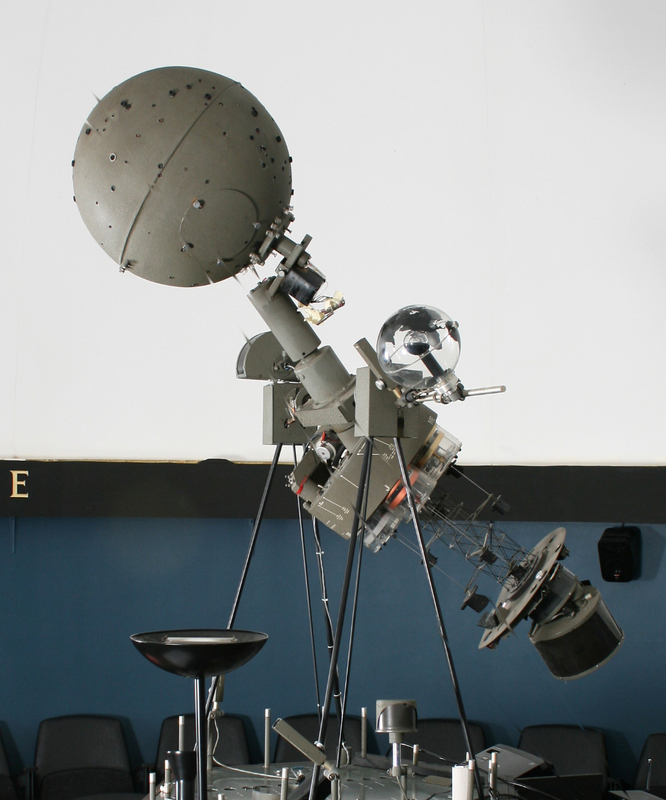 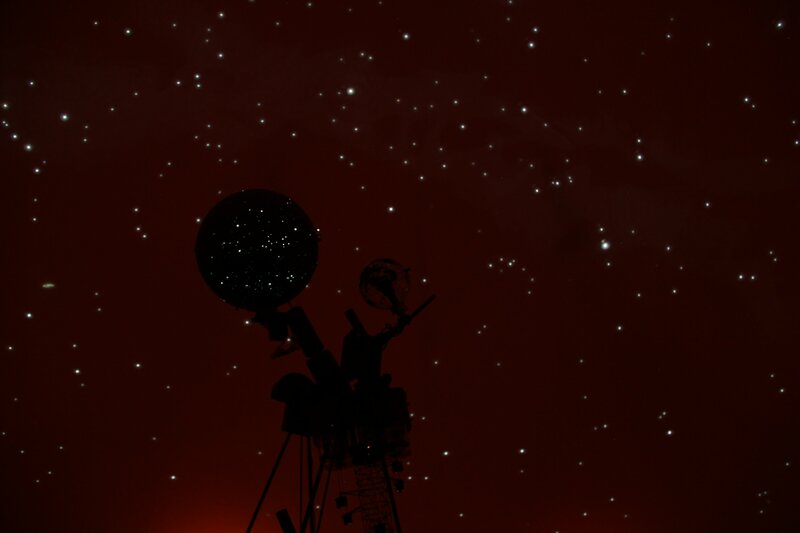 The 60-seater James Lockyer planetarium was amongst the first of the buildings the Society commissioned and is the centrepiece of our public work. 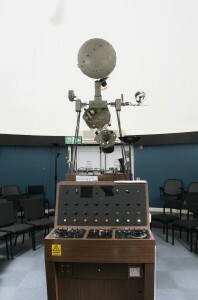 In 2005 the small Japanese projector gave way to a larger and more elaborate American instrument which was given to us by the Royal Observatory, Greenwich. 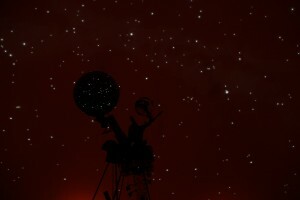 A team of presenters can now deliver a variety of programmes on the night sky.